I haven't always planned my menus for the week. I never thought it was really necessary. I mean who wants to schedule every minute of every day of their lives. Well, once I finally gave in and started menu planning I wondered how I ever managed without my menu plan. I usually plan my menu out on Sundays after I have gone through the sales ads and made out my grocery list for the week. Yes, I make my grocery list out first. Sounds kind of backwards doesn't it? I do not keep a running inventory of what I have in my cabinets, freezers, or things like that. Honestly, while I have a small stockpile I don't have so much food that I can't keep up with what I have. Before I sit down to plan my menu out I take a look at what meat I have, what canned goods and frozen foods I have. Then I look for recipes that match up with the items that I already have at home and what is on sale for the week. I try to find recipes where I already have everything I need. Sometimes I will need to buy something small like whipping cream or a spice but I try not to plan a recipe that I don't have everything for. To look through my recipes quickly I have them organized on my favorites menu in folders titled "Beef Recipes", "Hamburger Recipes", "Pork Recipes", "Chicken Recipes", "Slow Cooker Recipes", "Breakfast Recipes" and "Soup Recipes". If I decide I want to try something new I use My Recipes, All Recipes, and Taste of Home. All three sites allow you to search recipes by ingredients. 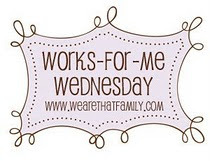 Joining I'm An Organizing Junkie's Menu Plan Monday has also been a big incentive for me to stay on top of my menu plan. 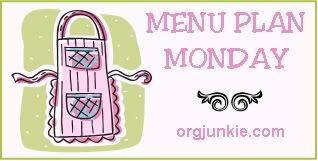 Knowing I need to post my menu each Monday gives me the incentive to plan my menu out. 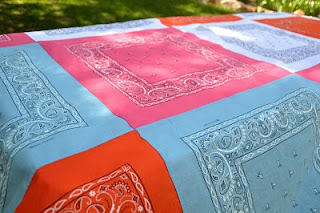 Plus while visiting the other bloggers who participate I have found a ton of new recipes. Another thing I keep in mind when I am planning my menus is our schedule. If I am going to be busy during the day I will use a slow cooker recipe, or if I know I won't be able to get supper cooked if we have something going on that night I can make plans for that. For us menu planning has meant that there is no more running around at 5 PM trying to figure out what we will be eating for supper, and the meat is already defrosted. We save on our groceries because our menu is planned around what is on sale, and our grocery list is no longer planned around our menu. Our menus are more creative now becuase I focus on using what I already have, which sometimes means having to find new recipes. And the biggest benefit has been a less stressed out mommy.